The Cyrus Mistry saga is getting murkier and murkier. 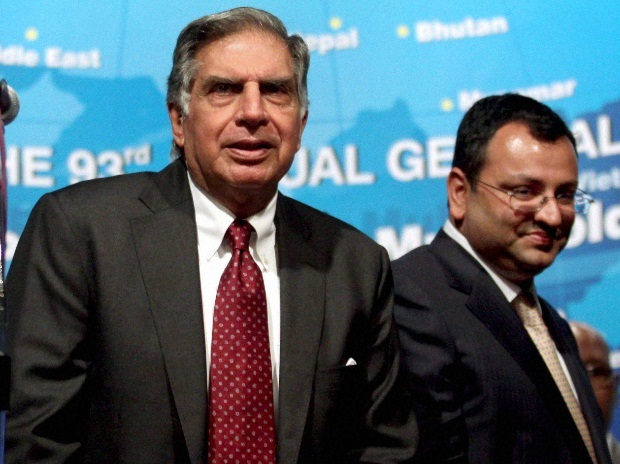 Three days after Mistry’s unceremonious removal as Tata Sons Chairman, there are reports that the Tatas are looking to buy out his family’s stake in the firm. The Shapoorji Pallonji group owns an 18% stake in Tata Sons and is the largest shareholder. Mistry is the younger son of Pallonji Mistry. The Tata family trusts have reached out to sovereign wealth funds and other long-term investors to gauge their interest in purchasing the Mistry family’s stake if it became available, sources told Bloomberg. The trusts have held preliminary talks with potential buyers as they prepare for a number of possible scenarios. Mistry’s family doesn’t currently plan to sell its holdings, the sources said. The relationships between the Tata Trusts and the Mistry family have soured over the last three days. After his dismissal, there were reports that the Shapoorji Pallonji group was going to the courts to contest his ouster. A day later, an explosive letter written by Mistry to the board was leaked to the public, and it talked about mismanagement and vested interests at the firm. Today, the Tata board hit back at Mistry, calling his letter unwarranted and unforgivable. The controversy has taken its toll on Tata companies – Tata companies lost a combined Rs. 25,000 in the two days following Mistry’s departure. There’s clear friction between the group and its largest shareholder, and given the very public spat between the two parties, it’s possible that they part ways. Tata Sons is reportedly looking for a friendly party that shares their long-term vision.